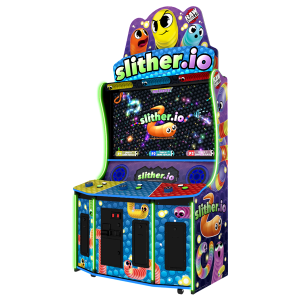 Slither.io is finally coming to the arcade! The hit game will launch with a giant 55″ display and three player positions in a compact cabinet to maximize operator revenue and location appeal. Building on the massively successful online game base, the arcade version adds exclusive gameplay features that keep players engaged and entertained. Achieving more than 200 million downloads to date, the hit family-friendly game, slither.io, was named the Top Trending Game of 2016 by Google Play. Slither.io remains a leading free action game app on both Android and iOS. Licensed products are available for slither.io including toys that were nominated by Licensing Industry Merchandisers Association (LIMA) for top toy in 2018. New gameplay features have been and will be introduced keeping fan interest and loyalty high. 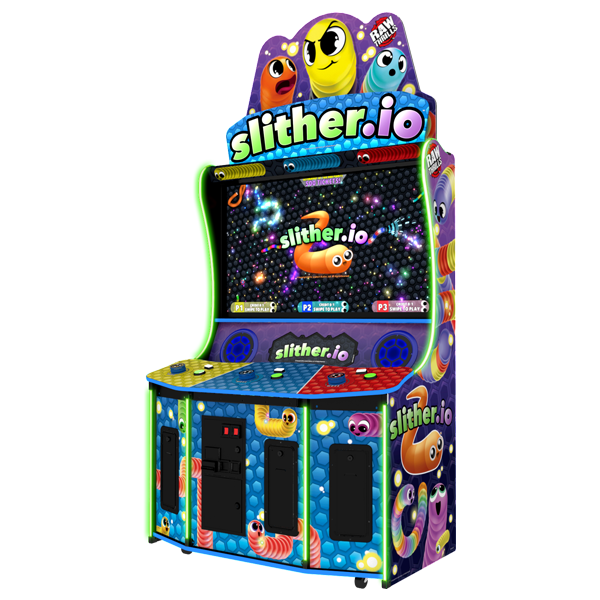 Created by independent Lowtech Studios, LLC, slither.io continues to thrill fans daily worldwide. About Raw Thrills, Inc. – Established in 2001 and based in Skokie, IL, Raw Thrills is the global leader in video amusement games and simulators.